Kammererite is named after A. Kammerer, the mining director at St. Petersburg. Crystal System Triclinic; crystals hexagonal shape, bounded by steep sided pyramids. 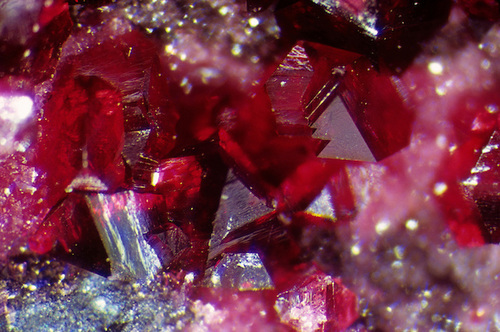 Note: Kammererite is a beautiful but rare mineral. It is micaceous; consequently, it is extraordinarily difficult to facet, which has severely limited the availability of cut gems. It would have to handled with great care to avoid cleaving. A few clean, well-cut gems do exist.